I have a few comments regarding this message. 1. Either “2% of men started to use POF as more of a hookup site” is a gross understatement, or I only received messages from that 2% during my tenure on the site. I was propositioned a LOT. If you wanted the website to be about Relationships (note the capital R he uses), then why did Intimate Encounters exist in the first place? I had pretty much already decided to quit POF before I received this message, and the above was just the last nail in POF’s coffin. I previously chronicled some of the other things that contributed to me saying goodbye to the site, like the decline of good grammar and the guy who stole his cousin’s nylons. First of all, I hate Home Depot with a passion. When I was a kid running errands with my father, I quickly learned that “we just need to stop at Home Depot for 1 thing” really meant “kiss the next 2 hours of your life goodbye and then wait here with our 4 carts while I pull the truck around so we can load all this senseless crap.” When you say Home Depot, all I hear is “TORTURE.” So even though he admittedly had no way of knowing it, things had just taken a turn for the worse with the mere mention of Home Depot. 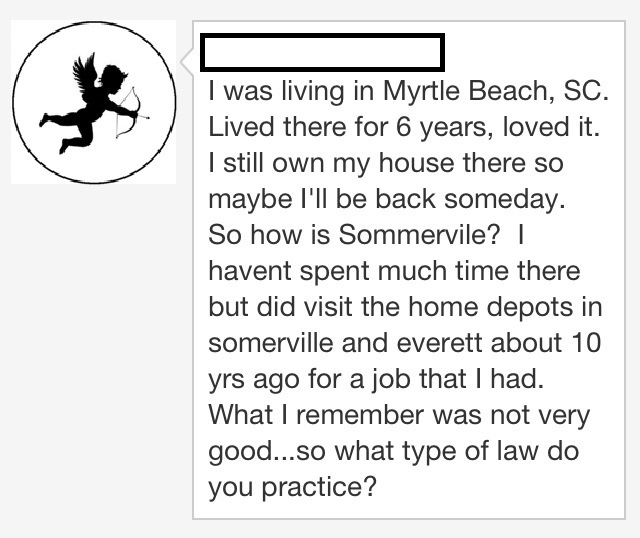 Second of all, you’ve only been to the Home Depot in Somerville, but you’re judging it anyway? The Home Depot is sandwiched between I-93 and some MBTA tracks. Of course you didn’t see anything awesome. Somerville has a lot of cool and fun things to offer, like our movie theater that serves beer and wine. But I’m not going to defend it to some asshat who admits he hasn’t spent much time in the city I chose to live in and then insults it anyway. 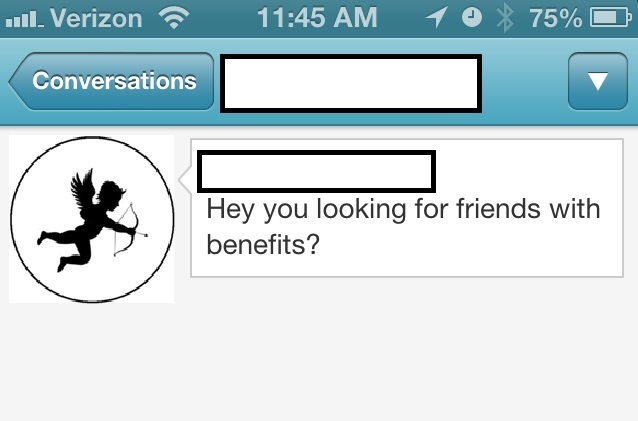 This was not the reason I started online dating. I’m not looking to settle down yesterday or jump into a serious relationship with every guy I exchange a message with, but I’m not looking to sleep around either. So, I quit POF. And bit the bullet by joining a paid site in its place: Match. I’m keeping my OKC account because it’s free and not nearly as creepy as POF was. In theory, the people who shell out money to be on a site are probably more in line with what I’m hoping to get out of online dating. Which, spoiler alert, does not include contracting a VD after a one night stand or wondering why all my tights keep disappearing. I’m kind of surprised that OkC is higher than PoF at this point, I would have assumed the former was the bigger hook-up site. Maybe you should make a (warning) post ranking the current dating websites out there!